Provide comfort for the family of Patsy Pratt with a meaningful gesture of sympathy. 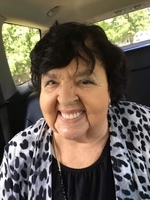 Patsy Ann Pratt, 75, of Park Hills, Missouri went to her Heavenly home on Saturday, January 5,2019. 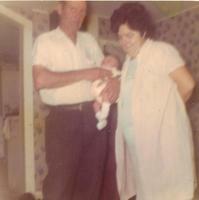 She was born on July 7, 1943 a daughter to the late Freddie Fleig and the late Virgie Mae (Wells) Fleig. In addition to her parents, Patsy was preceded in death by her first husband, Leo Joseph Sansoucie Sr. and her second husband, Bernard Lewis Pratt. Patsy is survived by one daughter, Bridget (Sansoucie) Couch and husband Douglas; one son, Leo Joseph Sansoucie Jr. and wife Paula; five grandchildren: Joseph (Tara) Hockenberry, Brandi (Garrett) White, Christopher Sansoucie, Devon Orrick and Kaytlyn Parsons; eight great grandchildren; also surviving are nieces, nephews, extended family and a host of church family who will miss her. Visitation will be Tuesday, January 8, 2019 from 5-8 pm at DeClue Funeral Home in Potosi. Visitation will resume on Wednesday, January 9, from 9-11 am. A Funeral Service will be held on Wednesday, January 9, 2019 at 11 am at the DeClue Memorial Chapel with Pastor Dwight Jones officiating. Interment will be held at St. Stephens Cemetery, Richwoods, MO. In lieu of flowers, memorial contributions may be made to DeClue Funeral Home. To send flowers in memory of Patsy Ann Pratt (Fleig), please visit our Heartfelt Sympathies Store. 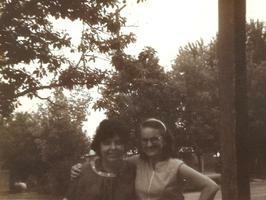 Provide comfort for the family of Patsy Ann Pratt (Fleig) by sending flowers.